Editor's choice: some of our favourite tax guides, toolkits & checklists for directors. There are ongoing and significant changes to the tax rules affecting directors, our toolkits provide you and your adviser with a heads up on "what's hot and what's not". Salary, dividend, interest, rent, pension, tax-free benefits, distributions, capital reductions, family companies, loans, non-UK-domiciles, non-UK residents and more. The tax-planning points and pitfalls of using dividends to create a tax-efficient pay package. Planning and elephant traps! Transferring income producing assets to a spouse or other family members. This links you to guides for directors, family companies and employers. Explanation of the potential problems where a director's service contract doubles as an employment contract. This guide explains how employment law and tax law interact and the effect that this has on director's tax. Tax relief when a company gets into difficulty and cannot repay your loan account. A guide that explains the workings of this relief, illustrating the problems which potentially restrict relief for company owners. This guide explains how the new pension rules will affect directors and will interact with other benefits and incentive schemes. A handy guide for start-ups or those thinking of incorporating an existing business. This tax guide examines the key tax issues for the owners of personal service companies. A checklist that details the main tax issues surrounding directors' loans. A new type of employee and a new type of employee share scheme. Explaining what happens when you give an employee or director shares. Essential reading with a focus on new rules for "bed and breakfasting" loans to participators and measures affecting loans to LLPs. Review of latest consultation for reforming the loans to participator rules. The tax and legal effects of paying an unlawful dividend, repaying it or writing it off. This checklist is designed to be used for a new company or pre-year-end or year-end tax planning for a company and its owner. An overview of how the tax anti-avoidance settlement legislation applies to family companies. 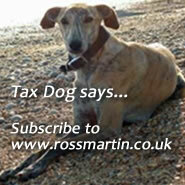 Want to stay up-date across all the taxes? What's new? What year? Who does it affect? Directors > What expenses can I claim? Further checklists and guides in each section on the left hand menu. Private client deals with details income tax, savings, dividends as well as capital taxes (CGT and IHT).